Whopper's Bunker: X-Men: First Class is first class! The X-Men series of movies started out very well with the original proving to be as good as Spider-Man. then like Spider-Man, it’s sequel was massively superior to the original. Alas like Spider-Man the X-Men had a “turd third” and had to be stopped in it’s tracks before it completely destroyed the franchise. However, it soon emerged that both franchises would be sent down the “reboot” path, such that their fourth outings will have entirely new casts and production teams. 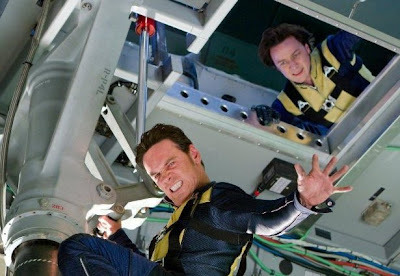 I was initially very dubious about the new treatment revealed for Spider-Man, but I’m filled with hope for it after seeing that the new entry in the X-Men series, X-Men: First Class as it is as good a movie as the first sequel. Now one may hold up their hands and scream that they’re sick of origin stories and prequels churning out a different interpretation of the same basic core ideas but some of these stories are so fascinating and well conceived that they deserve retelling. Few complain when the heroes of old; King Arthur, Robin Hood, Beowulf or Hercules are reimagined and reinterpreted - so as comic books hold the greatest source of legendary heroes in modern times then they too are deserving of the same treatment and to have their story re-interpreted by different people, for no one vision can really be more “correct” than another. 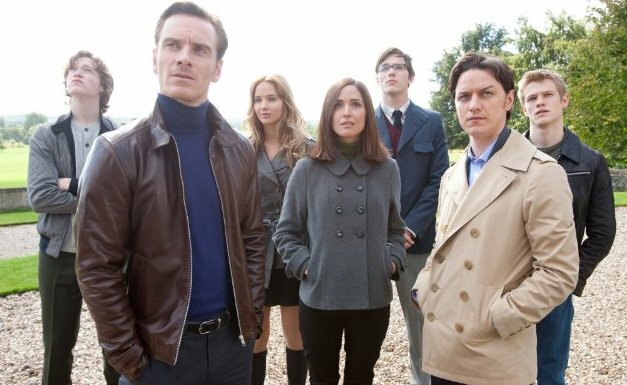 With X-Men: First Class, Director Matthew Vaughn weaves an intriguing tale of the early days of those who would become the X-Men but centers mainly on Dr. Charles Xavier and Eric Lehnsherr the young men who would later become Professor X and Magneto. As a boy, Xavier finds Raven [who would later grow up to be Mistique] in his kitchen impersonating his mother and he is pleased to learn he is not the only one with a power. He grows into cocky womanising young man in the 1960's when the movie is set and excellently portrayed by James Wanted McEvoy. He was of course a genius and was already well on his way to becoming a professor of genetics at Oxford university. Lehnsherr [Michael Centurion Fassbender] on the other hand was much less fortunate as we witnessed in the opening scene of the original X-Men movie in 2000, when his power manifested itself at a Nazi concentration camp. Vaughn fleshed out this moment and contextualised it more by adding his version of the X-Men villain Sebastian Shaw [Kevin Bacon] as a Nazi and a mentor of sorts for his emerging power. Lehnsherr grows into a man filled with hate for Shaw for what he did to him and is by the '60's, scouring the planet to find him. Shaw has amassed a fortune in the intervening years since WWII and poses a threat to world peace that cannot be ignored or fought by conventional means as he now has at his command, a group of evil mutants. The CIA's Dr. Moira MacTaggert [Rose 28 Weeks Later Byrne] enlists the help of Dr. Xavier who with Raven convince the CIA that Shaw and his mutants are a serious threat. A Man in Black [Oliver Platt] takes them to his facility where they encounter Dr. Henry "Hank" McCoy [Nicholas Clash of the Titans Hoult] who reveals his creation Cerebro allowing Xavier to discover several other mutants Angel [Zoë Californication Kravitz], Banshee [Caleb Friday Night Lights Landry Jones] and Havok [Lucas Battle: Los Angeles Till] to aid them in stopping Shaw and his mutants including Emma Frost [January Mad Men Jones] and Azazel [Jason Ironclad Flemyng]. It’s safe to say that while there are some shockingly brutal and violent moments on display here, there is an equal amount of levity. Vaughn was careful to inject just the right amount of humour to offset what can be perceived as negativity to ensure a balance of light and dark represented by the central characters. Most of this humour is related to the younger mutants and their powers but it can come from anywhere - from the ‘60’s related setting to perhaps some intentional corny dialog – oh and the biggest laugh is undoubtedly from the greatest and most hilarious movie-cameo in the history of celluloid which is contained therein. Speaking of cameos, an impressive supporting cast was drafted in to make this movie what it was including Glenn Moreshower, Matt Craven, Ray Wise, James Remar and the legendary Michael Ironside. While the titanic battle between good and evil represented by the conflict between the X-Men and Shaw's band of mutants is what the movie is marketed with and of course it's main draw; it is somewhat predictable and derivative. While this may be a negative point to some it must be noted that this is not the essential focus of the movie as a whole which is why it works incredibly well and perhaps even elevates it above the common super-hero story. 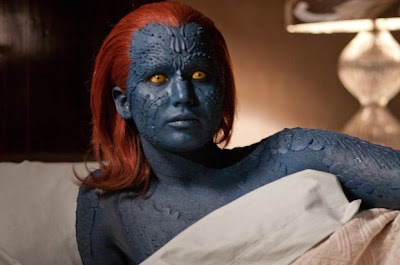 In a unique way we observe the two sides of the same coin in Xavier and Lernsher, they certainly both want mutant-kind’s potential to be recognised and unlocked so that they no longer have to live in fear but each man has a different idea about how to accomplish this and they eventually reach an impasse which we already know that neither of them will resolve. The main tale is between them, and the simultaneous friendship and conflict brewing between them. This is what [chronologically of course] carries over to the previous movies. Shaw is more then a mere villain of the piece, he is focus for Lensherr’s hatred allowing the audience to sympathise with Fasbender’s character in a way that we previously couldn’t to McKellen’s Magneto and this is a far more interesting reason to see this movie. Final Verdict: This is an interesting take on the X-Men, it's fresh enough to be a reboot but fits in seamlessly with the existing movie-continuity. It has action and humour in acceptable quantities and is far from a run-of-the-mill comic-book movie. The X-Men brand is no longer poisoned. 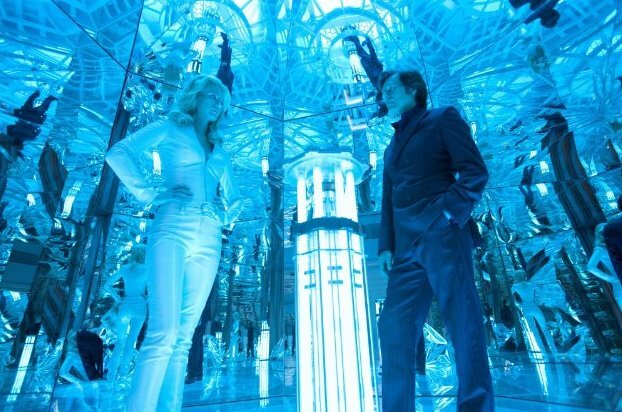 I commend whomever was responsible for the Emma Frost costume design.